Annan came back to claim the points on Saturday as we went down to a second successive league defeat. There were three changes to the side which had went down to Clyde on the opening day – both Jason Talbot and Jamie Pyper were injured with the later withdrawing after the pre-match warm up, while Kris Renton dropped down to the bench. Martin Scott returned after suspension while Bryan Gilfillan was a late replacement for Pyper. 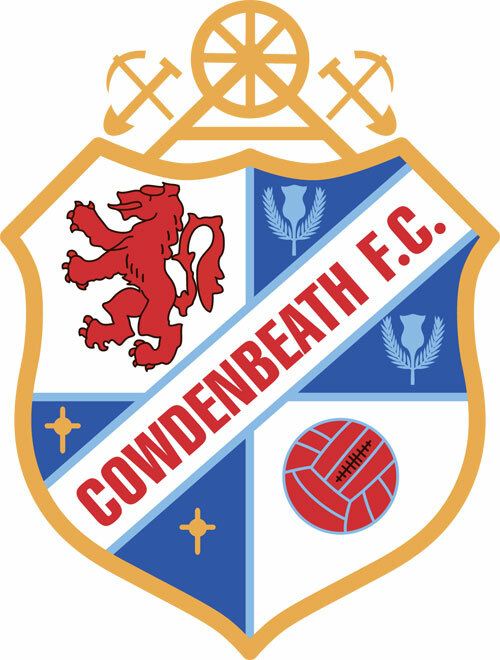 With 14 minutes gone Johnston sent over a cross which saw Smith sent his shot over the Cowden bar. Minutes later Annan’s Muir was booked for simulation after going down in the box and minutes later he got past Marsh but shot straight at McGurn. McGurn once again saved from Smith before we opened the scoring with 27 minutes gone. Gilfillan played the ball down the wing to Smith who sent a cross over to Jordyn SHEERIN to volley the ball into the top corner of the net. The joy was to last only four minutes however as Gilfillan lost possession a yard from goal after a seemingly harmless cross and Tommy MUIR nipped in to tap home his first ever league goal. Then six minutes from the break we had a good chance to regain the lead when Smith whipped another cross into the box but Sheerin’s header went just over. The visitors got what proved to be the winner four minutes into the second half when a Johnston corner reached Steven SWINGLEHURST at the back post and he headed home. Ten minutes later Sheerin got on the end of another Smith cross but his shot was deflected for a corner and midway through the second half a shot on the turn from the striker was turned around the post by keeper Mitchell. Then minutes later a Malcolm effort was scrambled off the line while McGurn saved from Annan’s Roberts. Cox then sent a shot over from the edge of the box while a long range free kick from Swann into the box was deflected for another corner. The closing stages then saw us come close with efforts from Mullen corners with Renton and Gilfillan both heading over the bar. TEAM: McGurn, Mullen, Malcolm, Gilfillan, Marsh, Miller, Cox, Buchanan (Renton 76), Sheerin, Scott (Swann 61) & Smith. Subs not used – Goodfellow, Fotheringham, Scullion & Kay. Booked: Gilfillan (73), Marsh (90+2). ANNAN ATHLETIC: Mitchell, Hooper, Creaney, Wilson, Sonkar, Swinglehurst, Johnston, Sinnamon, Smith (Fergusson 63), Muir (Wallace 72 & Roberts (Moxon 82). Subs not used – Trialist, Watson, Brannan & Wright. Goals: Muir (31), Swinglehurst (49). Booked: Muir (17), Wilson (51), Mitchell (85).